I think it is safe to say that without a teacher’s flair, history leans toward the dry and boring. Certainly, that is my experience. Linda Gondosch, a Hebron resident, negates that criticism from the start in two excellent history books: How Did Tea and Taxes Spark A Revolution? 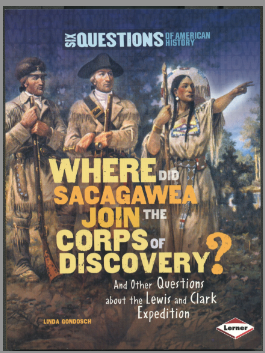 and Where Did Sacagawea Join The Corps of Discovery? Gondosch’s charming, flowing, and easy-to-read style makes her stories bounce off the page. Her skill becomes immediately apparent in these well-researched, non-fiction books authored for the Lerner Classroom Series: Six Questions in American History. As a matter of perspective, Lerner Classroom is an imprint of Lerner Publishing Group in Minneapolis. The historical series examines 18 critical topics in American History, which helped shape our country. Gondosch penned two books in the series. These beautifully designed books, condensed but precise, are directed at ‘elementary-schoolers,’ ages 8-12. However, they are valuable and inspirational refreshers for children of all ages, including adults. Gondosch’s offerings are concise and provide pertinent insight for anyone interested in reconnecting with key aspects of our country’s history. While written for children, parents would be remiss to consider them as merely a child’s book. Also, from my perspective, they lack the restraints of political correctness that permeate today’s media. Gondosch is telling American History, not rewriting it. And, tells it she does! Her descriptions are vivid, her characters pop, her approach is informative. Gondosch makes history interesting; her flair brings history to life. As a former educator, her empathy for her audience is apparent. The mark of a good children’s book is that it is of interest to adults, too. Here, Gondosch hits the bulls-eye. 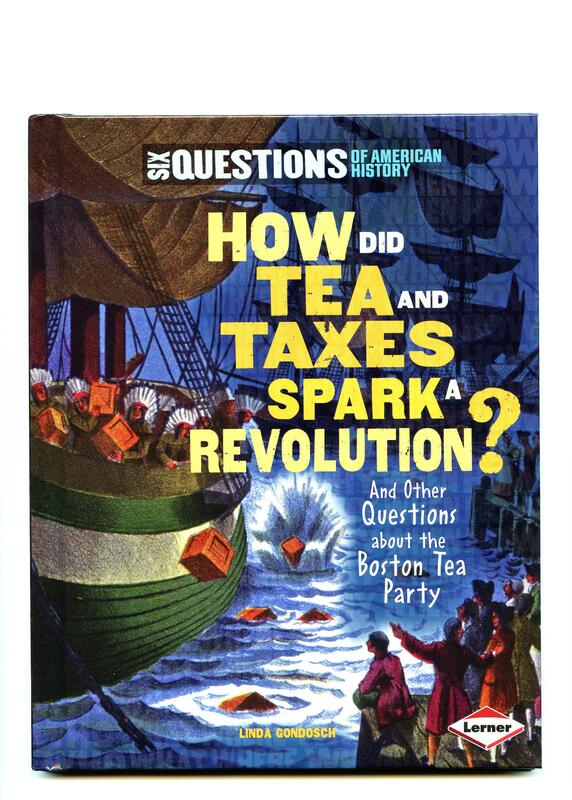 In How Did Tea and Taxes Spark A Revolution?, you stand beside Samuel Adams, John Hancock, and Paul Revere as they protest King George III’s seemingly endless stream of taxation. You tiptoe onto boats with the men disguised as Native Americans (Mohawks, to be precise) as they smash and dump hundreds of 320-pound boxes of tea into the chilly waters of Boston Harbor on December 16, 1773. You’ll feel for Crispus Attucks, a probable former slave and one of the first people killed in what would become the American Revolution. Gondosch’s prose sparkles as she discusses these important events. Her descriptions of taxation without representation, about redcoats in Boston, the tensions of the day, the creaking boats in the harbor, and about tea in salt water pulsate with energy. You get more of the same in Where Did Sacagawea Join The Corps of Discovery?, which is also well done. You will travel against the current with Lewis and Clark into the uncharted, mysterious, and chancy land that is the Louisiana Territory, a vast parcel that stretches from the Mississippi Delta to the Rockies. In this book, you are with the men of the Expedition as they confront waterfalls, traverse vast mountain ranges, cross raging rivers, hunt buffalo, and encounter the various Native Americans who populate the land. You will learn about Thomas Jefferson’s quest to find a Northwest Passage to the Pacific. And, for every mile of the trip, you are aware that finding such a passage will improve trade and grow your country. Fifteen-year-old Sacagawea becomes a friend. Not only does she interpret for the expedition, the baby she bears, young “Pomp,” becomes the youngest member of the Corps of Discovery. In your heart and soul you will know you are in the midst of a wild and glamorous new land, and on the verge of greatness. Remember, back in 1804-1806, there were no cellphones or GPS; it was only boats and feet. You will come to know the hardships, disappointments, and discoveries. Again Gondosch’s story is delivered with zest. It is filled with historically accurate information, and bits of trivia that enrich the experience. One example is a Newfoundland dog, named Seaman, who walks virtually the entire trip, and even tangles with bears. I happily recommend these books for your family library. Gondosch has an M.A. degree in education from Northern Kentucky University. She has taught writing classes at NKU, as well as Language Arts at South Dearborn High School in Indiana, and she frequently speaks to schools about creative writing. She is a mom and grandmother, and the author of seven books of fiction for children: Camp Kickapoo, Brutus the Wonder Poodle, The Best Bet Gazette, The Monsters of Marble Avenue, Who’s Afraid of Haggerty House, The Witches of Hopper Street, Who Needs a Bratty Brother (winner of the Kentucky Bluegrass Children’s Choice Award), and The Strawberryland Choo-Choo. Visit her website to learn more about her books and her life. 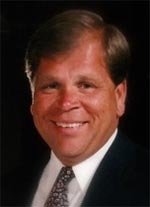 Donald Then, a novelist and experienced editor and journalist, is NKyTribune’s literary editor. He will review books written by local authors or those with a Northern Kentucky setting. Reach him at author@djamesthen.com You can also follow Don on Twitter: Novelguy@DJamesThen.